There were two TARC launches this year - Mar 23 and Apr 6 at Woodsom Farm. The first launch was very windy and just one TARC team from Needham High School and a college team from Northeastern were there. The Needham team had some technical difficulties and got only one launch in. The Northeastern team's rocket employed changeable 3D-printed fin cans with one fin cocked at different angles and they monitored their spin during flight. They got four good launches in but unfortunately the last one landed in a tree too high to recover. The Apr 6th launch was a lot better, moderate winds and mostly sunny. Two TARC teams - Needham HS and BN & B HS; and two college teams - Northeastern returning to do some more spin launches and U. Mass Lowell performing a few flights that were going to be used to promote their club. The U. Mass Lowell team had several good flights; hopefully they got the pictures and videos they needed. The Northeastern team was less successful this time around, with one unstable flight and one lawn dart. Both TARC teams were successful and obtained some good pretty good scores on their qualifying flights. Unfortunately, not good enough as neither team made the finals. Two weeks till our first launch of the season! Sign up to help out. Claude Maina and Doug Steinfeld are pleased to announce the 2018 recipients of grants from the Bill Spadafora Memorial Fund. The fund was established to promote rocketry education by funding TARC and SLI teams, and generous contributions by CMASS members and others have enabled us to support two teams in the 2018/2019 TARC competition. The Rocketry Club at Queensbury High School in Queensbury NY has 8 team members in their 2ndyear of TARC participation. Last year they didn’t qualify but have high hopes for this year. The grant from the Spadafora Fund will help with motor, parachute, and travel expenses. The Rocket Club at the Cambridge Rindge and Latin School in Cambridge has 9 team members also in their 2ndyear of TARC participation. They have 9 members who got on the scoreboard in last year’s competition but weren’t happy with their results. However, they persevered, continued to learn, and this year have a mix of experienced and new members. Their goal is to make it to Nationals this season. The grant from the Spadafora Fund will help with rocket parts and software upgrades. They’re also looking to purchase their own ground support equipment as they’re currently dependent on their mentor’s gear. 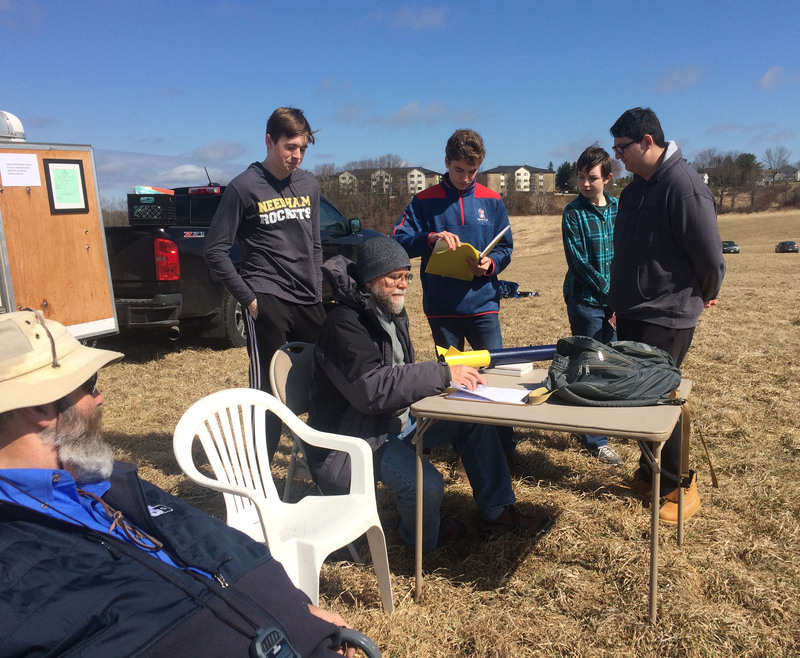 We find it gratifying to be able to assist these students in their rocketry endeavors, and equally gratifying that contributors to the Spadafora Fund feel the same way. We hope to fund additional teams next season, so please spread the word! As always, contributions to the fund are gratefully accepted.